Happy New Year and happy Wednesday. I hope you enjoyed the holidays and have some good ideas of how you’d like to spend 2019. I spent New Year’s in Whistler, BC with Joe and his parents. It was my first time there and the fact that we don’t take many snowy, wintery trips made this one special. It gave me a good excuse to break out all of my cold-weather gear. On to some links! 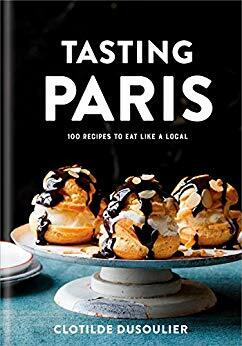 I’ve mentioned Tasting Paris before but now it’s to let you know that the kindle version is currently $2.99. I believe it is the same price in other formats as well. I highly recommend this book and you especially can’t lose with it being only $3. It’s a great way to jump start making great meals this year. 7 Books to cozy up to that will transport you to France. I’m a bit late to this news, but French Guy Cooking has a cookbook out! His videos are great. I get to go to Paris this year! I’m sorting the running list I keep of places I want to visit. So far my musts are l’orangerie, Galleries Lafayette, and Cafe de Flore. I’ll also be checking out this list and this book for unique things to do on my fourth visit.